Last Year: 11th with a 10-14 (-28) record and 24 points. Made a late charge in 2012 to finish 11th but overall their season was a poor one. 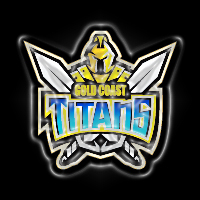 John Cartwright needed to embrace the next wave of Titans - so Scott Prince departs and the game plan might get a reboot... a year or two late. Dave Taylor is a fantastic signing but the Titans are stacked in the backrow... his arrival means Nate Myles becomes a permanent front rower which isn't the worst result. Prince's departure opened the door for anyone of Jordan Rankin, Beau Henry or off-season long-shot Albert Kelly to force Cartwright's hand and name them halfback... and it looks like Kelly gets first shot. Also the late pickup of Brad Takairangi is an intriguing one - is he a legitimate option in the centres? Marmin BARBA, Shaun CARNEY, Anthony DON, Jamie DOWLING, Shane GRAY, Beau HENRY, Jahrome HUGHES, Mark IOANE, Sam IRWIN, Steve MICHAELS, Cody NELSON, Mark O'DARE, Luke O'DWYER, Luke PAGE, Jordan RANKIN, Ben RIDGE, Matthew WHITE. Matt BEDDOW, Caleb BINGE, Hymel HUNT, Matthew RUSSELL. Cartwright has three options for the centre spot - move Gordon there and give Anthony Don a start on the wing, take a punt on Takairangi, or give Steve Michaels chance #235. Falloon thinks he might be fit for Round 1, if not then Luke O'Dwyer might get a run on the bench. GLD: Zillman, Gordon, Idris, Takairangi, Mead, Sezer, Kelly, Myles, Srama, Douglas, Bird, Taylor, Harrison. Bench: Ridge, Minichiello, Bailey, Falloon/O'Dwyer. Anthony Don might be 25 but hasn't appeared in the top grade yet, evaluate his ability if he gets the wing spot in Round 1. Ben Ridge is a good young backrower stuck behind a host of experienced ones, while the halfback spot could see a rotation of Kelly, Rankin and Henry alongside Sezer. Given the uncertainty in the centres outside of Jamal Idris, maybe Cartwright gives a youngster a chance? It's always the local derby with the Broncos - this time in Round 5 at Skilled Park on a Friday night (April 5). If both teams can start well - it might be a cracker, but if there's only a couple of wins between them by Round 5... hello fizzer? The Titans play 5 of their first 7 games at home in 2013 - so they HAVE to start well and that might boil down to the creativity and poise of their chief playmaker Sezer in the opening weeks. The talent in their pack is ridiculous - yet they didn't look like a playoff team last year. 12th | Have a handful of the most competitive individuals in the comp on the roster, yet the team struggled with consistency (and creativity) last year. Can Cartwright impart that on this group? Can Aidan Sezer or Nate Myles take Ben Barba's mantle as the game's best player in the 2013 @NRLTweet Player of the Year Awards?